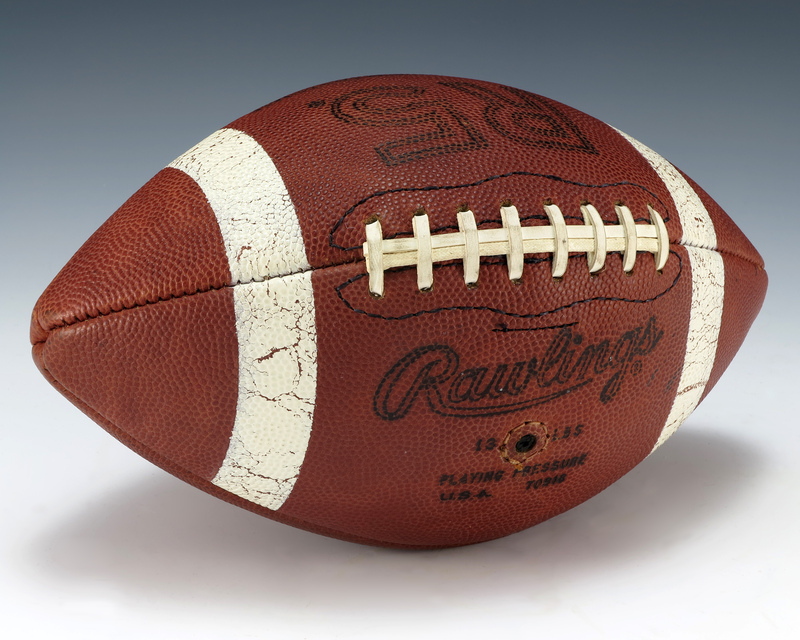 A football from the 1978 Rose Bowl, where the Washington Huskies (led by Warren Moon) thwarted a furious second half comeback of the Michigan Wolverines (led by Rick Leach). The Huskies defeated the Wolverines 27-20. Stamped on the ball is text that reads, "1978 Rose Bowl / Washington / vs. / Michigan". President Ford served as the Grand Marshal of the Tournament of Roses parade.